Pointe du Bois Generating Station had been producing electricity for more than a hundred years when the spillway had to be replaced with a new one. 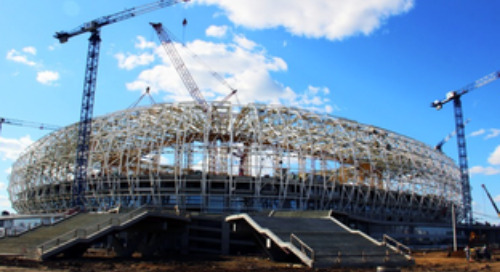 The owner Manitoba Hydro chose KGS Group to design this innovative project, and KGS selected Tekla as the optimum tool to perform cast-in-place concrete modeling and deliver construction drawings. As KGS utilized Tekla all-around, they benefited from the beginning to the end from including all possible information in the model. 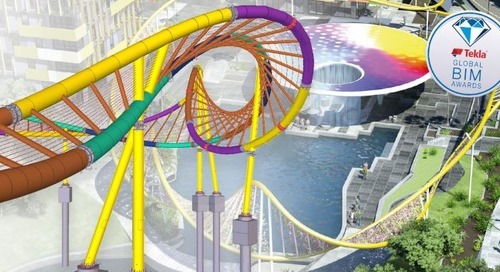 -“Many issues were resolved very early in the design stage instead of construction site. From beginning to end, we have benefited from having as much information in the model as we can possibly add,” says James Tapper, Tekla Administrator, from KGS Group. Pointe du Bois Spillway Replacement was KGS’s first cast-in-place reinforced concrete project designed and detailed with Tekla Structures. 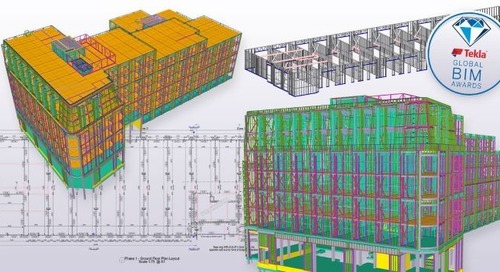 A team of just three Tekla users - two of them new with the software – completed rebar and concrete model, drawings and schedule while the experienced steel detailing department took care of structural steel. 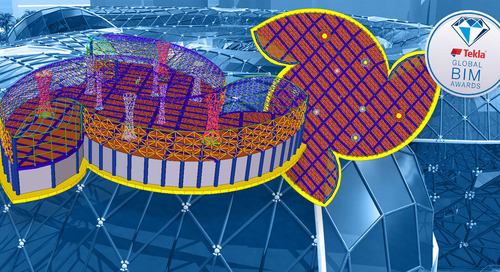 -“Tekla was actually much simpler and user friendly solution than I expected, I am certainly a fan of Tekla Structures for CIP and steel design work,” says Donovan Kroeker, Senior Structural Engineer, from KGS Group. 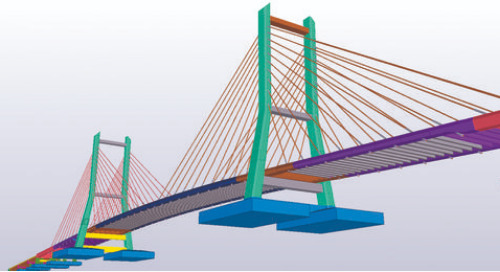 KGS modeled every single piece of reinforcing steel with Tekla. The first benefit they experienced was the accuracy of modeling the rebar, and the second was pin pointing clashes early and effectively. Otherwise these could have caused design delays or worse, issues more difficult and expensive to solve on the construction site. Pointe du Bois Spillway involved major earthworks, and as it is a replacement project, KGS had to take into account the existing structures. The team used several topographic models from Civil 3D and scans and point clouds for planning. Thanks to these, they could cut the underside of concrete pours to match the terrain quite accurately. 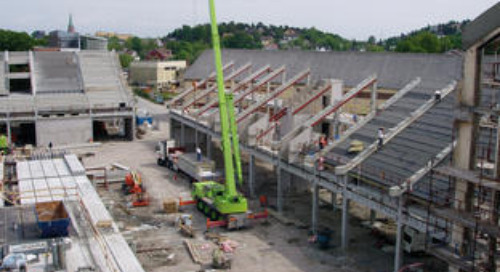 - “We used Tekla for quantity take-offs for everything, including concrete, steel and miscellaneous items, including critical profiles such as water-stops,“ says James Tapper, Tekla Administrator, from KGS Group. For coordination of the Spillway Replacement project, KGS team fully utilized Tekla with IFC, DWG and Tekla BIMsight exports to share with the client and other subcontractors. 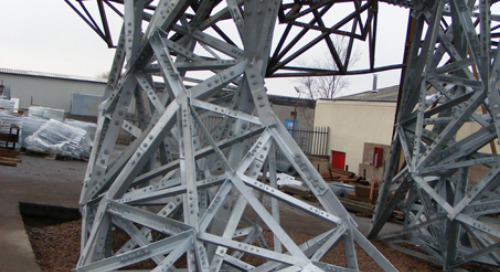 The team customized many inp and db files to meet the Canadian Rebar standards, and created industry specific profiles in addition to a full metric cast-in-place environment. They also created custom templates to associate the Canadian Standard Bend Types with the Tekla internal shapes. While KGS has been trending towards BIM solutions for a number of years, at KGS Group, the Spillway Replacement was a pilot project in order to fully explore using complete BIM environments for large scale projects. - “At KGS, we benefited from the effective, full-blown modeling approach. We had control over the contents and precision in the model,“ says James Tapper. As a variety of disciplines added numerous components to the model, clash detection proved to be the biggest benefit. KGS’s team solved many problems in the design stage, which saves a lot of time and money compared to finding fixes on site. And what next? 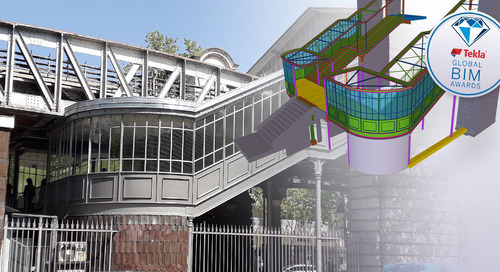 KGS has already begun the preparations for more complex projects to be completed with the use of Tekla Structures.